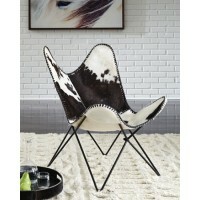 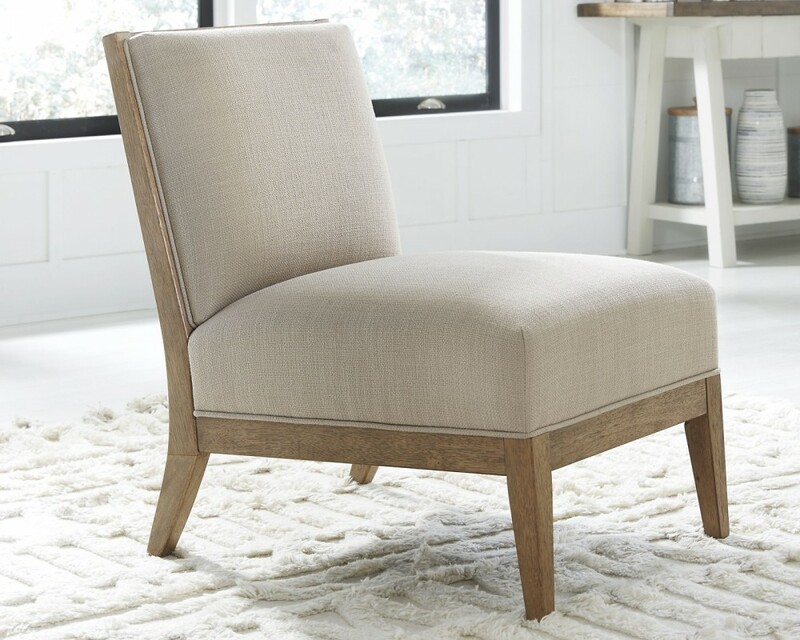 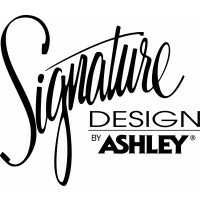 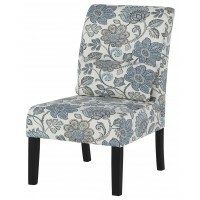 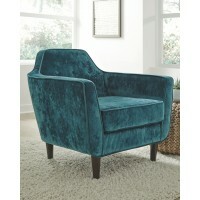 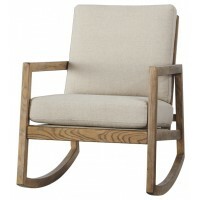 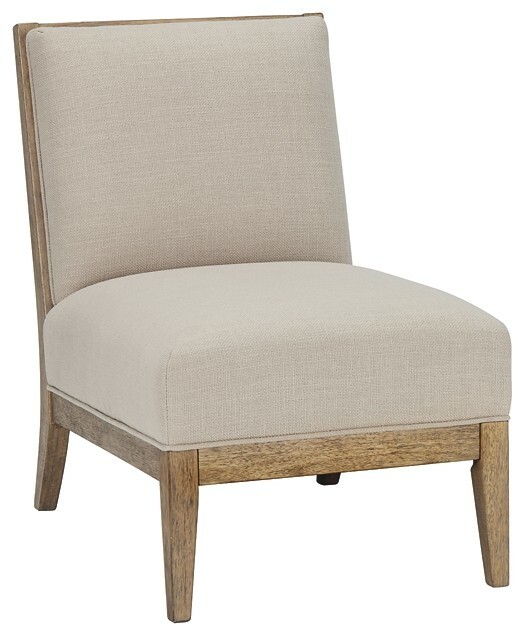 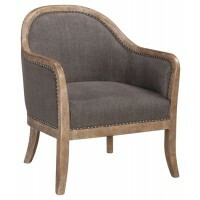 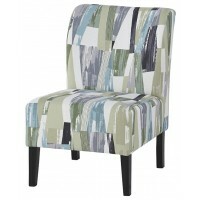 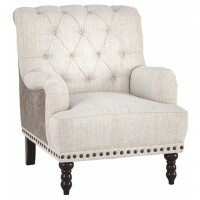 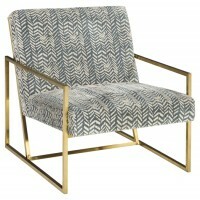 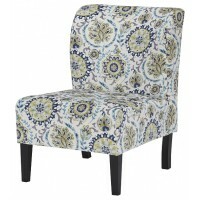 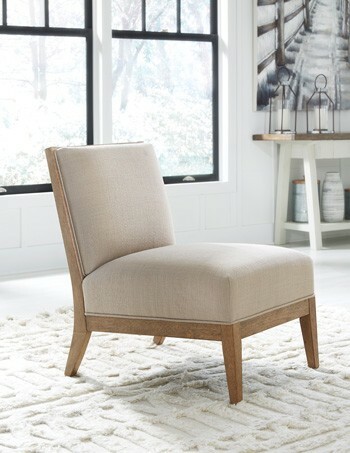 This accent chair is a natural beauty. 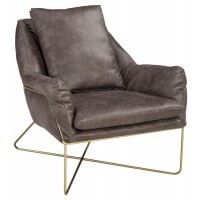 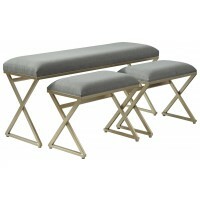 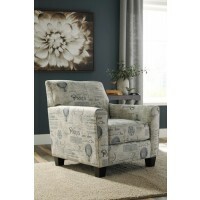 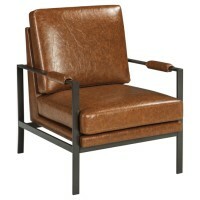 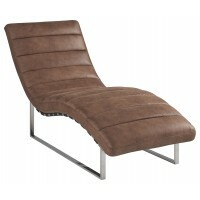 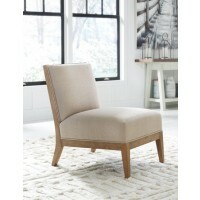 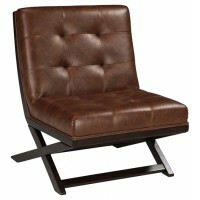 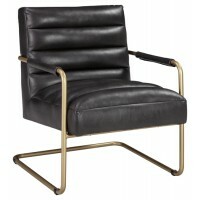 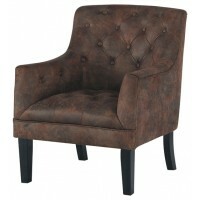 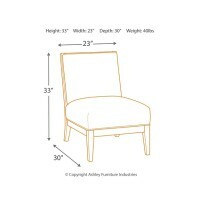 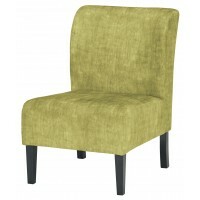 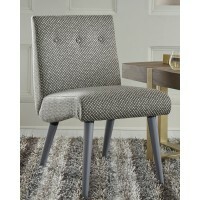 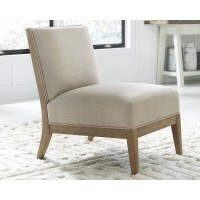 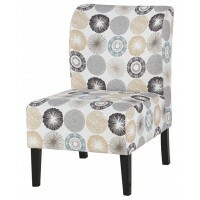 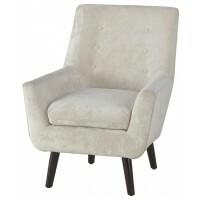 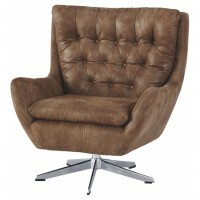 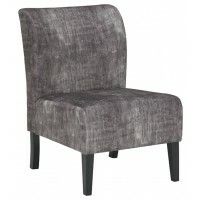 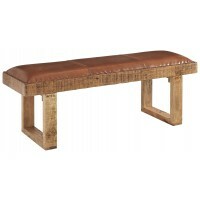 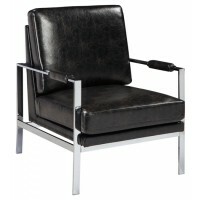 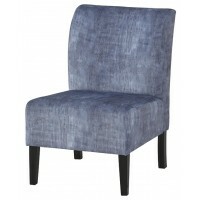 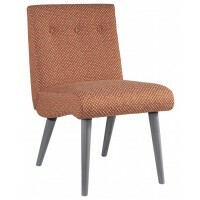 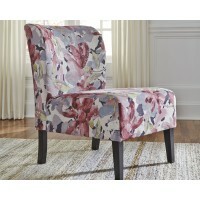 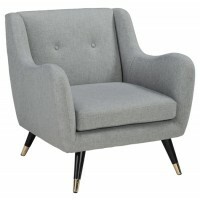 Sleek profile boasts attractive tapered legs. 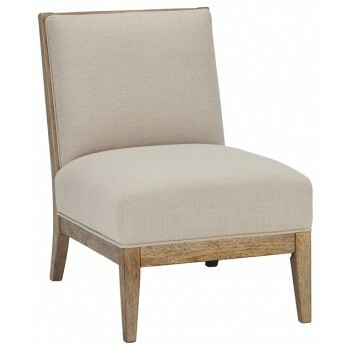 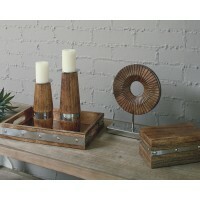 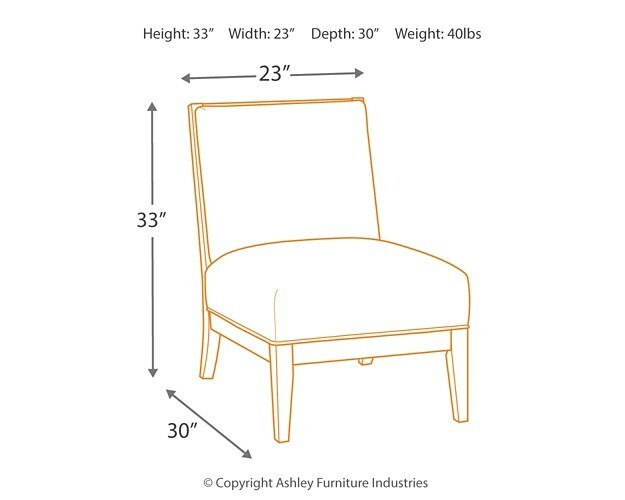 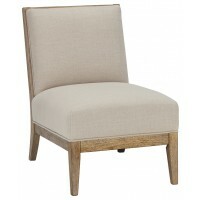 Neutral fabric on light wood tone frame expresses a humble and inviting quality. 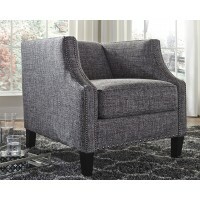 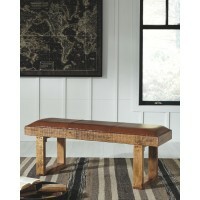 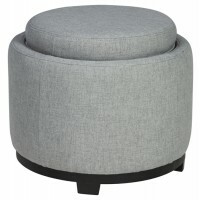 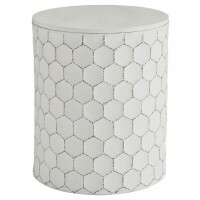 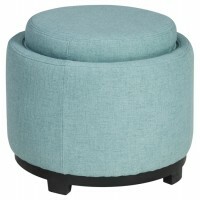 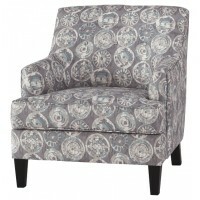 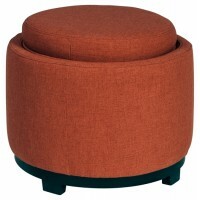 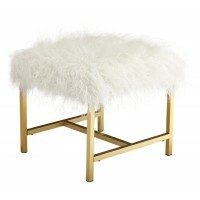 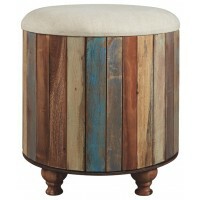 Armless design is a worthy addition to a reading nook or sitting area. 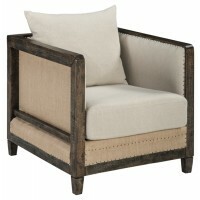 And with cushions so plush, you’re in for a relaxing time.